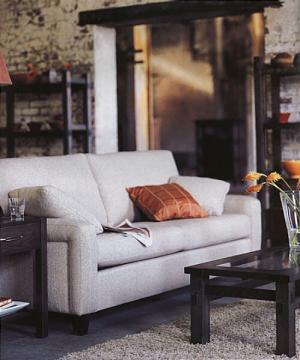 The Madison living room collection was created for Harvest House Furniture in 2003. The pieces were designed to match a preexisting bedroom collection made of ash. Each piece has been reduced to its most minimal elements of construction without affecting its strength, which is created by the through mortise and tenons. 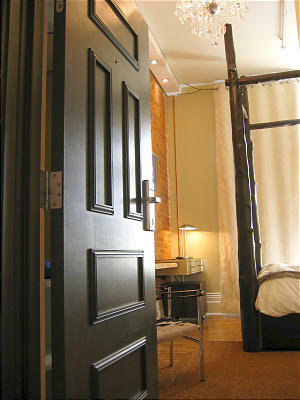 The Historical Gladstone hotel in Toronto, Ontario was in search of finding artists to create unique one of a kind rooms. 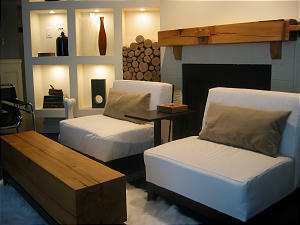 Joel Harrison-Off and my self were chosen to design one of the 37 rooms; we set out to create an urban lodge. This room is equipped with a four-poster bed made from solid cedar logs, faux fur curtains, bedding and fireplace. 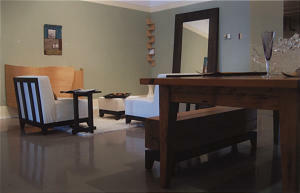 The finish appeal is a warm and elegant space, which ties in the stereotypical Canadian along with hotel luxury. The development of a smart small space will allow for simple change as trends and fashions progress. The images in these pages are a collection of pieces and details around our house that is always in constant change as I am never satisfied. 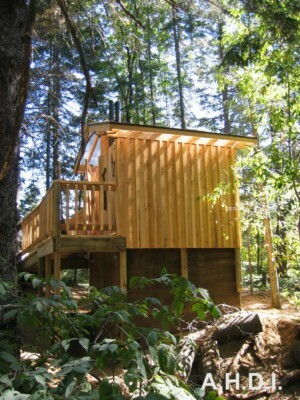 The Agostinis and Harrison-Off Design Institute heads to Algonquin Provincial Park to build a composting toilet. This public toilet is stationed at an access point (Rain Lake) and houses two composting units, which are much cleaner, brighter and odorless compared to conventional pit units. A cosmetic face lift has brought new life to this once dark and dreary staircase. The addition of warm woods and thin reveal lines creates an architectual interest to this concrete form. 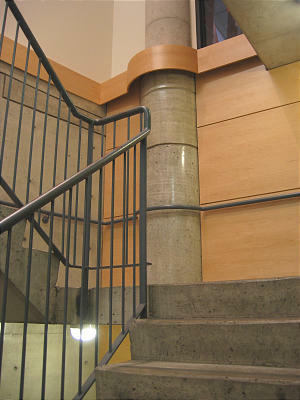 The project invloved new panels to match existing millwork found throughout the centre. 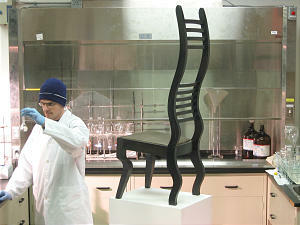 The exhibition in Laid Law Hall was based on the concept of creating an intimate space using my collection of furniture. Pieces include a large mirror made from rift sawn oak that measures over seven feet high, two upholstered chairs and ottoman, the Madison side table with tray, FULL a curvy maple bar and a corner shelf. The images in the forefront are of a harvest table made from reclaimed barn boards along with matching stools and a bench made from an old beam. The concept of eclectic works create a unique warmth established by mixing old and new woods and materials that share the same tones and finishes.